Analogue photography experimentation is a whole world. Every day I discover new shooting techniques, pinhole cameras made from everyday materials (such as matchboxes like Pinhole Barcelona), homemade tricks to develop film with beer… Anything! 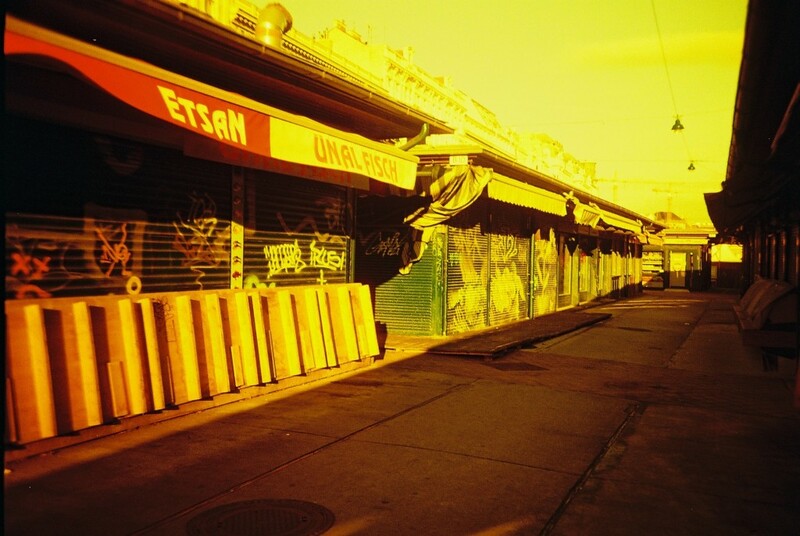 A few months ago I came across something called DIY redscale, which is basically a roll of a homemade redscale film. In this post I will share my experience, the resulting photographs and a guide to make DIY redscale at home. 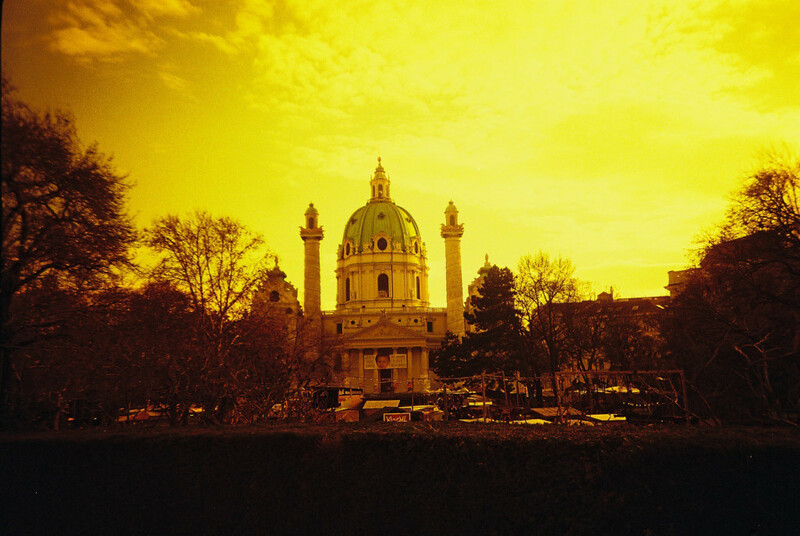 Redscale is the name given to the technique of shooting film on the wrong side. That means the red-sensitive layer is exposed first, instead of the blue, as it would happen if we shot the film in the traditional way. 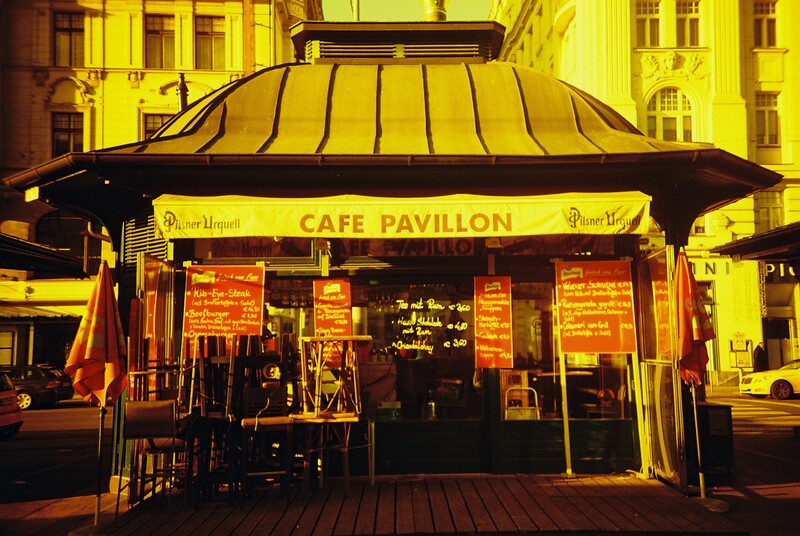 Nowadays there are companies like Lomography selling redscale film that can be purchased ready to get the typical reddish effect. But what concerns us here today is the DIY redscale. 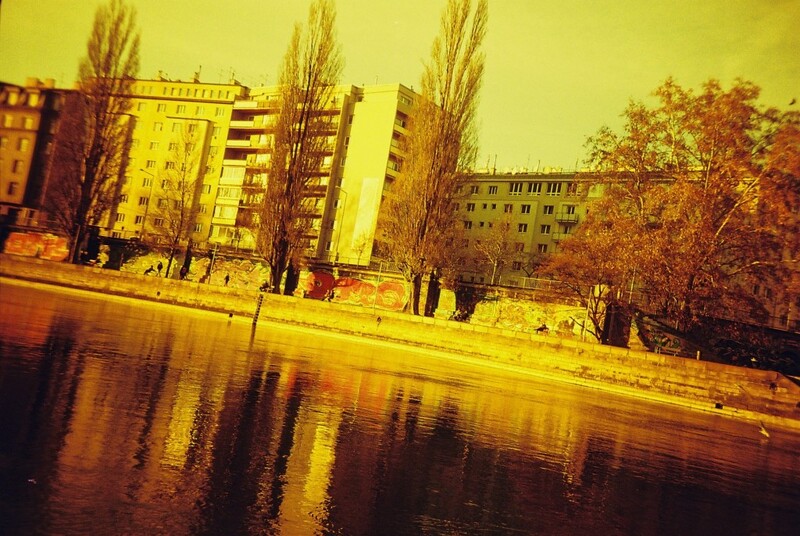 The first time I heard about this technique was in late 2013 and, after reading several tricks to make DIY redscale, I set to work. As was a rookie back then, I asked for some help to my friend Silvia Holgamydear (ciao amica! ), an analogue photography expert. We got an 800 ISO 35mm film and another already empty roll, which still had a bit of film on the edge. We also took some sellotape, scissors and got a darkroom bag (to keep darkness). Here is where all started! It is very easy to turn an ordinary film into redscale, but more important is to do it in complete darkness. How to rotate the film? Ensure that the empty roll still have a couple of inches of film. Take the new roll and cut with scissors along the narrow part of the film (the tongue) to get the end of the film straight. Put the reels side by side to make sure one is upside down (you will see how the matte and glossy sides are facing opposite). Join well the two films with sellotape. Rewind the film in the empty roll, as they are about to touch the two chassis, and cut the film. Once you have the rewind film on the old roll, cut the end of the film in the form of tongue (as is the default) so that it can shove it right in the camera. It is important to remember that using homemade redscale film means losing light points, so you need to set correctly your camera ISO. 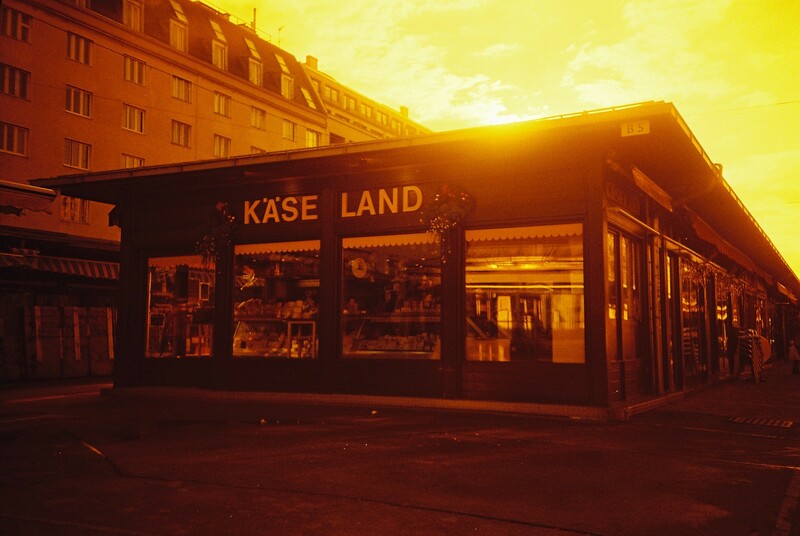 If your film is 400 ISO, you will have to set it to 200 ISO when shooting with DIY redscale, for instance. You can also play with ISO and set it as you like to get different colour tones, from a powerful red to a yellow. It’s all about experimenting! Here you can see some of the images I took after the experiment. They were taken in late 2013 in Vienna on a fairly sunny day. Note that there are different colour tones, depending on the intensity of light. Journalist and photographer's apprentice. Discovering the analog world despite being a daughter of the digital era.